A unique, coconut-derived sheet mask that boosts the moisture content of skin by up to 200% in 15 minutes for a plump, luminous complexion. This ultra-concentrated treatment mask, inspired by the geisha's silken masks of distilled essences, offers a plumping, spa-quality facial to transform the look and feel of skin in 15 minutes. By distilling the coconut water of one fruit into each ultra-concentrated mask, the hydrating Red Algae and other essential botanicals are able to quickly saturate the skin, instantly plumping, smoothing, and toning the look of skin, for a radiantly youthful complexion. Suitable for any skin type seeking an instantly hydrated, firmed and lifted appearance. This biocellulose treatment mask contains an anti-aging serum—a proprietary complex of Okinawa Red Algae and natural hyaluronic acid—that delivers an instantly hydrated, firmed and lifted appearance. Each mask is distilled from an entire coconut into an ultra-concentrated mask, forming an occlusive layer on the skin and allowing for 53% more efficient penetration of its serum than paper masks. The pure and powerful active ingredients are able to quickly saturate the skin, infusing the skin with revitalizing moisture and plumping away the appearance of fine lines. 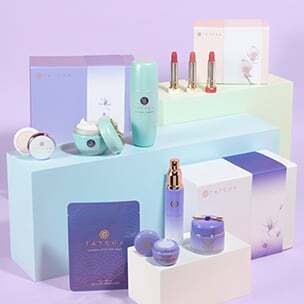 Tatcha's signature Hadasei-3™: a trio of anti-aging Japanese superfoods born from nourishing Green Tea, Rice and Algae, restores a healthy-looking, youthful radiance. Water, Glycerin, Propanediol, Methyl Gluceth-20, Alcohol, PPG-6-Decyltetradeceth-20, Ethylhexylglycerin, Polyglyceryl-10 Eicosanedioate/Tetradecanedioate, Polyglyceryl-10 Isostearate, Chondrus Crispus (Red Algae) Extract, Fragrance (Natural), Sericin (Silk Extract), Xanthan Gum, Camellia Sinensis (Green Tea) Leaf Extract, Sodium Hyaluronate, Panax Ginseng Root Extract, Algae Extract, Royal Jelly Extract, Thymus Serpillum Extract, Phenoxyethanol. Remove mask and massage the remaining serum into the skin. Do not rinse. Follow with your favorite moisturizer to seal in hydration. Luminous Deep Hydration Lifting Mask is rated 4.8 out of 5 by 26. Rated 5 out of 5 by Anna from Secure (and hydrating) mask won't fall off your face while doing chores... I get bored after the first two minutes of lying down while using these types of "cloth" masks. Most of them, though, will slide right off your face and splat onto the floor (or your nice clothes) if you stand vertically, so I used to compromise by tilting my head up as much as possible while trying to answer emails or cook. Tatcha's made a mask from coconut fiber, instead of the usual baby-wipe material, and maybe that's why this one sticks to my face like the barnacles in the Okinawan sea that the red algae comes from. It doesn't sting my sensitive skin either. I try to be thrifty and rub the excess serum stuff into my neck. Rated 5 out of 5 by Anonymous from Can't go back to regular sheet masks after this I use a lot of sheet masks on regular bases and I normally I don't like spending more than $5 per mask. But someone gave me one of these as a gift and I got hooked on the first try. My skin felt so plump and hydrated. I used it in the evening followed by my regular skincare routine. And I woke up the next morning with my skin feeling like I used a sleeping mask. At first, I didn't want to like this mask as much as I do. It's so expensive. I even went on a hunt to find a good gel mask alternative. But most of the cheaper alternative doesn't give the lasting hydration this one does. This is now my go-to mask that I use before any special event. I just guarantee a good skin day. Rated 5 out of 5 by Anonymous from A Full Facial in a Mask! Amazing! I have incredibly sensitive skin and lack of hydration is always a main concern. I am always nervous when it comes to masks but trusting Tatcha I gave it a try since I know how pure their ingredients are. My skin instantly looked plumper and even my sister noticed and asked what I had done recently. Make sure to take both mesh layers off when applying and be sure to rub it all in afterwards. Great to do at night, leave on for about 20 min, rub it all in afterwards and then go to sleep and wake up with the freshest face ever. $25 seems like a lot but considering my skin looked better than it has after a 60 minute facial it is worth every penny! Rated 5 out of 5 by Anonymous from Amazing GEL mask repairs winter damaged skin! I love this mask! After a harsh east coast winter, my skin was irritated and very dry. After one application, this mask instantly calmed, cooled, and hydrated my skin. I have previously tried cloth facial masks but they would slide off my face and the serum would quickly dry off. What is so unique about this mask is that the gel material clings and provides more serum to your face, allowing your skin to absorb the moisture longer. Truly an amazing product. Rated 5 out of 5 by kuhhristie from Is this real?!?! I decided to splurge on this mask during the holidays for myself and boy, am I glad I did!! Although this is on the pricier side for a single mask, after trying it ONCE, I was sold... I really like how there is a thin layer on each side of the mask. After taking the mask off after the recommended 15-20 minutes, my face feels so firm and supple. I also felt that my skin absorbed in everything from the mask and left my face looking very hydrated. I did not have to wash my face after the mask and immediately put on Essence, Serums, and Water Cream. Rated 5 out of 5 by Hannah from Perfect Gift This mask is very soothing and provides wonderful moisture.The package has the mask and enough extra serum for my elbows and décolletage. I received my first one as a gift for my replenishment purchase. Since then I have sent the single as a birthday gift to my mother and sister, both of whom have winter birthdays in climates that dry out their skin. I purchased the four pack for myself to use as a treat for special occasions. It took a little bit to get the hang of putting the mask on, but after the first one I don't even need a mirror. Hello! I was wondering what is the shelf life of the Luminous Deep Hydration Lift Mask. Thank You! Thank you for your question! Most of our skincare items, the Luminous Deep Hydration Lifting Mask included, have a shelf life of 2-3 years unopened. You don't need to refrigerate them, just keep them in a cool dark place. (Heat and light are skincare's enemy). Our items are all made in small batches and immediately shipped to us for distribution to ensure they are fresh when you receive them. We hope this helps! Begin with clean, dry skin. Unfold mask and pull tab to peel away one layer of mesh backing. Place mask gel-side down on face and adjust to fit comfortably around eyes, nose, and mouth. Peel away remaining backing so that only the gel layer is left, and smooth mask to skin. Leave on for 15 minutes and enjoy the cooling and gentle tingling sensation of the mask at work. 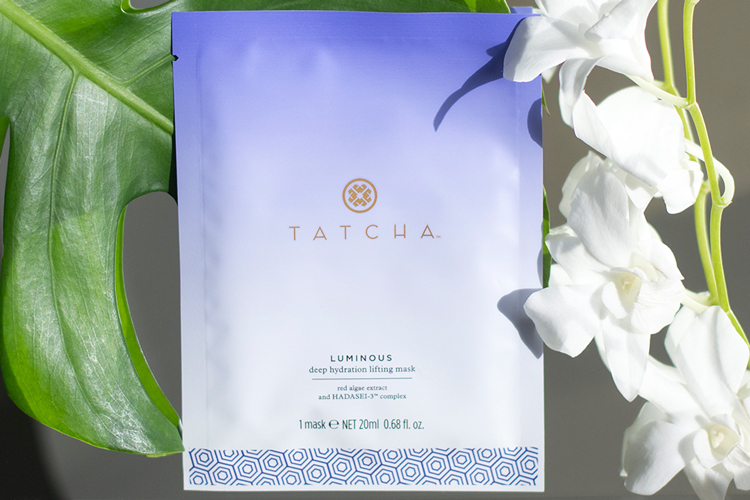 Peel mask off, massage remaining serum into the skin and follow immediately with a Tatcha moisturizer to seal in the long-lasting moisture. Skin will feel lifted and cool from the intense hydration. How often should/can I use this mask? Thank you for your question! These masks may be used as often as you like up to once a day. We like to suggest using them whenever you would like to give your skin a boost of plumping and lifting hydration that is accompanied by a youthful glow. We hope this helps! No. Feel free to massage remaining serum into the skin after peeling the mask off. Follow with a Tatcha moisturizer to seal in the long-lasting moisture. What step in my ritual is the mask? When you need an extra boost of hydration, apply the mask after cleansing. 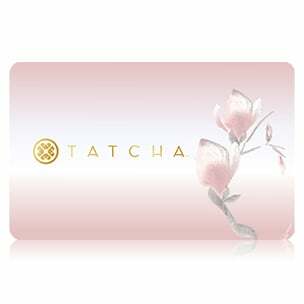 Follow immediately with a Tatcha moisturizer to seal in the long-lasting moisture. When should I use the mask? Thank you for your question! We suggest taking the excess serum and using it elsewhere while you are wearing the mask. It is excellent massaged onto the neck, decolletage, shoulders, or anywhere you might want extra, softening or hydration. We hope this helps! Do you apply essence before applying this mask, like with the Dewy Skin Mask? Thank you for your question! We always suggest applying The Essence prior to all of our masks to give the ultimate boost to skin and allow the ingredients to travel even deeper within. We hope this helps!